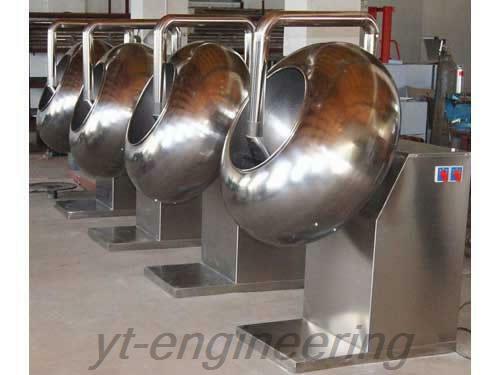 Chufa-shaped coating machine is used to coat pills, tablets and particles in pharmaceutical industry and also sugarcoat those products in food industry. The sugar coated tablets after coating and polishing are bright in surface and is able to prevent oxidation, moisture or volatile. 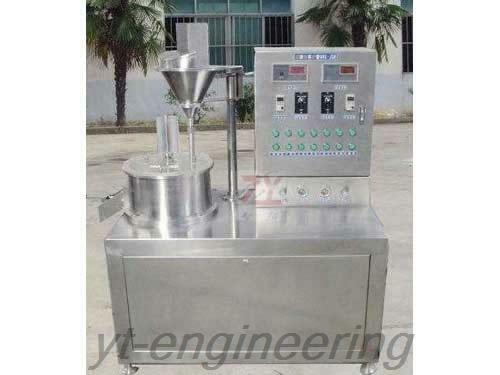 Sugar coating machine also helps to cover the discomforting odor of tablets, make them easy to distinguish and ease their solution in human bodies’ gastrointestinal. 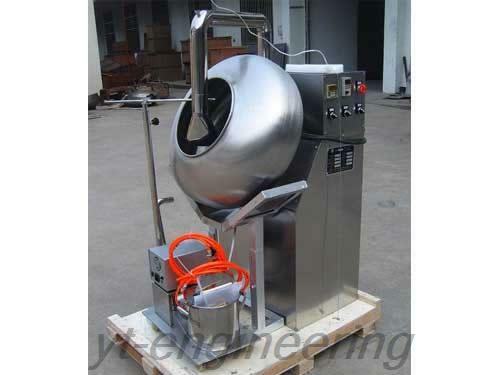 1.Sugar coating machine is made of stainless steels, easy to operate and maintenance. 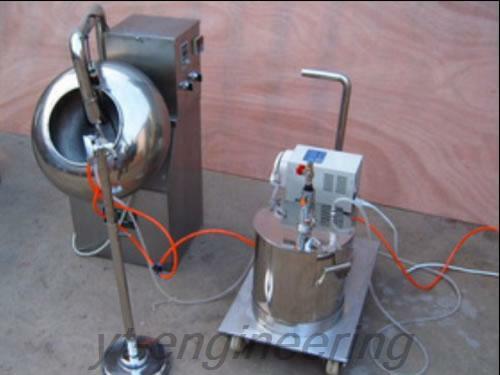 2.Sugar coating equipment is capable of producing coating products more uniform by selecting spray devices to assemble a coating unit. 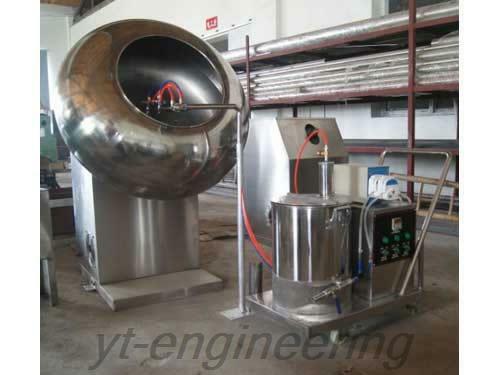 3.Sugar coating machine is various in types, compact in structure, economic and durable. 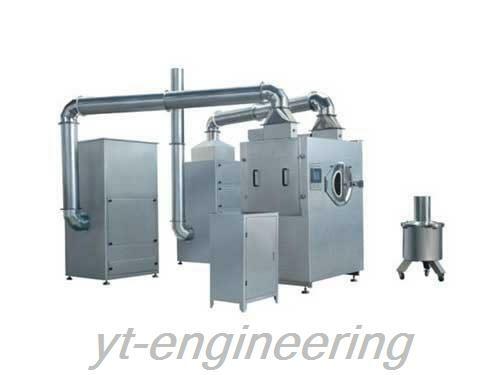 Founded in August, 2000, Jiangsu Yutong Drying Engineering Co.,Ltd. is a professional sugar coating machine manufacturer and granulating machine supplier in China. Our products are widely used in pharmaceutical, food, chemical, light industry, agriculture, fishery, dyes, pigment and plastic rubber industry. 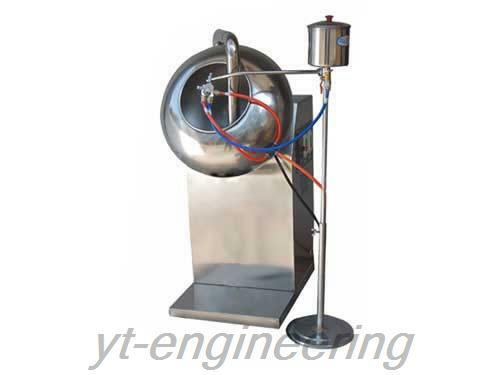 The quality of sugar coating machine is repeatedly checked during each stage of production. Additionally, sugar coating equipment as well as other machines must undergo a trial run in the workshop, and only those qualified products are allowed to leave our factory.